Are some of your regular writing gigs are drying up? Do you feel like editors aren’t buying your stories often enough? Have you felt bored or burned out from your usual travel topics? Do you want to earn more from each article that you write? If any of these things have caused you anxiety or unease, maybe it’s time you expanded your writing genres. By expanding your writing genres, you’ll get more articles published, more often. I’ve written for a wide variety of genres over the past ten years: travel and culture, history and historic places, food, wine and beer, hotel, lodge and spa reviews. But that’s not all. It’s about versatility. 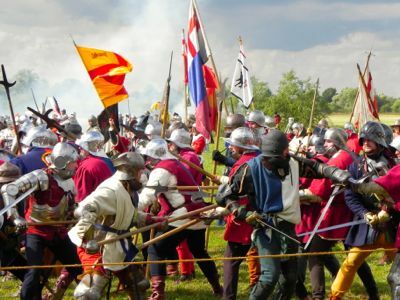 I’ve also written about military history and museums, military vehicles, freelance writing, art, communications, health, fitness, running, triathlons, sports, and film festival reviews. Maybe you think it’s impossible to do this, or that I’m super-human. I can assure you, I’m not. 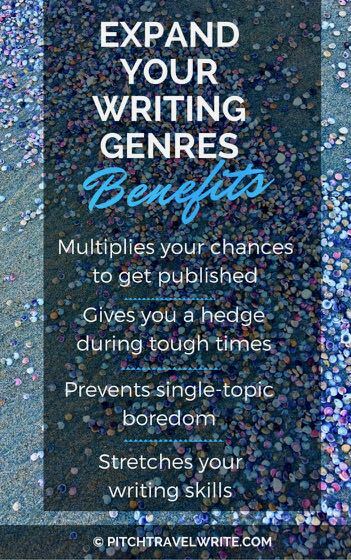 Here are the benefits to writing in multiple genres followed by how you can do it, too. 1. It multiplies the chances of getting your work published and onto the magazine racks. 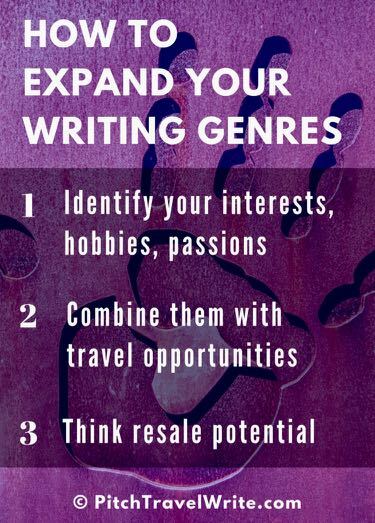 By writing in several genres, you’ll multiply your chances of getting published. More magazines will become available to you as you broaden your approach into other writing genres. You also have more opportunities for reselling your articles when you write in several genres. With a little creativity and tweaking, you’ll learn to stretch some of your story ideas across multiple genres. Reselling your articles becomes easier. 2. It gives you a hedge during tough times. Travel writers who specialize in one field or genre (e.g. luxury travel, wine, food, etc.) limit themselves to only those types of magazines. As part of the normal ebb and flow of any business, many magazines and newspapers fall by the wayside, and cut back on freelance contributions. Magazines often change editors who no longer want your work. In tough times, it’s easy to feel a pinch because there are only a finite number of magazines in a particular genre. For example, during the sub-prime mortgage crisis a few years ago, large numbers of people stopped buying houses. When people aren’t buying houses, they aren’t buying home décor and DIY magazines to get ideas for home improvements. And, as you would expect, home improvement businesses stopped buying advertisements in these magazines. The unfortunate result: the bottom dropped out of the home improvement and home décor magazine market. Dozens of these magazines closed their doors. The high circulation magazines took significant hits to their subscriptions base. Many of these magazines, hanging on by their fingertips, published fewer pages per issue. The editors stopped buying articles from freelancers like us. Home improvement freelancers had to go back out onto the streets and find other work. The point is you don’t want to be locked into writing for one particular genre! You can shift your focus to the genres that are doing well, and away from the ones that aren’t. 3. It prevents single-topic boredom. After a while, though, you’ll find you can write articles in your sleep. You’ll lose some of your original enthusiasm for the topic. You’ll lose your edge. Expanding into new writing genres keeps you enthusiastic, learning new things, interested, and engaged. To fend off boredom, expand your writing genres. 4. It stretches your writing skills. As writers, we always need to be looking for ways to improve our writing abilities. It’s important to move out of your comfort zone to continue to grow as a journalist. Writing in different genres gives you a new perspective, stretches your capabilities, and helps you grow as a writer. You’ll find yourself developing and becoming more flexible in different writing situations. When you decide to expand into other writing genres, you might worry that you’re not an expert. How can you write about something you know nothing about? The fact is you don’t need to be an expert. You need only two important prerequisites to expand your writing genres: interest and enthusiasm. If you’re sufficiently interested in—and excited about—a topic, you’ll be happy to do the research necessary to present an authoritative and nicely written article. Right? As an example, I have a lot of interests. I’ve had articles published on such diverse topics as: communications, travel, art, renaissance history, military history, military vehicles, military museums, fortresses, ancient artillery, film festivals, beer, boutique wineries, marina destinations for sailors, ghost towns, UFO hot spots and conferences, schooners, state parks, a Balinese cremation ceremony, jet lag, rock climbing, wildlife refuges, catacombs in Paris, and medieval monasteries and folklore. That’s a real mixed bag! When I started writing in these genres, I wasn’t an authority on any of these subjects (with the exception of beer). In fact, my ‘real’ occupation is in the field of exercise physiology. I taught exercise science at several community colleges and universities in the Seattle area. But my expertise in every new topic grew as I spent time writing in each genre. These days I actually have some expertise in several areas – but that’s not where I started, and you don't need to be an authority either. You might also notice most of my topics can be squeezed into the travel-writing genre, with a little bit of creativity. The fact is I have to travel somewhere to write about many of these things. So even though the subject isn’t specifically travel, researching the article involves travel. The idea is to parlay your passions and interests into viable magazine articles that can be sold and resold regularly. And think of ways to tie them to travel. Everyone has interests, hobbies, or passions. And most likely there are niche magazines built around those interests. 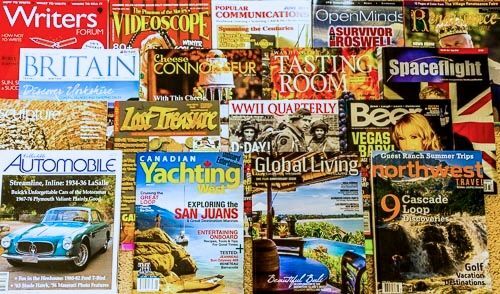 Once you’ve identified your interests and hobbies, make a list of all the niche magazines that might be interested in hiring freelance writers. Here’s an example. I love military history, despite no formal education or experience in the military field. I especially enjoy visiting military museums around the world. Only a few years ago I could not have told you the difference between a Sherman M4 tank and any other armored vehicle. Today, I’m a regular contributor to several military vehicle magazines in the U.S. and U.K. Targeting the niche magazines for military vehicles, I’ve had more than 125 published articles about military vehicles, aircraft, weapons, artillery, and missiles. Writing about my interests and hobbies opens up magazine genres that were previously out of bounds as a “travel writer”. 2. How can you combine your interests with travel? Practically any interest has a travel component with a little creativity. I regularly visit military museums everywhere I go - and write about them for magazines. My military articles have been published in military-oriented magazines and even in several travel magazines and newspapers. This is just one example of something that doesn’t initially appear to be a “travel” article. You can do it, too. Where can you travel when you combine your interests with travel? Every year I get a press pass to the Seattle International Film Festival. My special interest is horror, sci-fi and thriller movies. I’ve found a genre magazine that publishes my film reviews of these types of movies. I’ve also attended the Brussels International Film Festival (BIFF). The same publication took my article about movies at the BIFF. If you love movies, have you considered that you might be able to sell stories about your local film festival to local magazines and newspapers? And then you can expand that to film festivals in another city or country? Once you’ve written your story and had it published in one magazine, do a thorough search for other magazines unrelated to that genre that might go for the same article. You will be surprised at how you can recycle your stories into different genres by rewriting them with a new slant. For example, I’ve sold several stories about a remarkable museum in Hood River, Oregon. This museum has an excellent collection of antique aeroplanes and automobiles and I’ve sold articles to travel and non-travel publications. These stories have sold to: a classic car magazine, a WWII aviation magazine, an aviation history magazine, a local tourist guide that lists history museums in the Columbia Gorge, and a U.K. military machines magazine. That’s a lot of re-sales for just visiting one museum! Never limit yourself to travel publications. When you expand your writing genres, you can look beyond typical travel genres and sell your articles to many other kinds of niche publications.